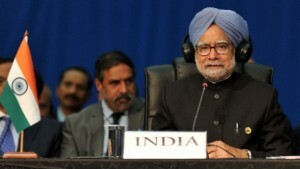 India’s Prime Minister Manmohan Singh has hailed the successful launch of the country’s first navigational satellite, IRNSS-1A. The prime minister described it as an “important milestone in the development of India’s space programme”. “India’s space programme is playing an increasingly important role in socio-economic development of the country,” Singh said in a statement. By successfully putting a navigational satellite into orbit the country has joined a select group of nations. The new satellite will provide India with an alternative to the United States’ Global Positioning Satellite (GPS). The rocket carrying the satellite blasted off at midnight, marking the first stage of India’s domestic satellite navigation network. The country’s President Pranab Mukherjee said earlier this year that the space programme epitomised India’s scientific achievements and benefits the country in a number of areas. “For India to occupy its right place in the comity of nations, we must promote innovation and technological advancement,” said President Mukherjee . ISRO’s budget has increased to $1.3 billion in 2012 to 2013.